Who is Vadim Zavalishin ? Back in 1999, Dr Sync (aka Vadim Zavalishin) introduced his Sync Modular software synthesizer to the world. It ran under Windows and BeOS, and rapidly gained an enthusiastic following for its versatility and low CPU overhead. Unfortunately, the interface of Sync Modular looked outwardly very similar to Generator/Reaktor, which soon brought it to the attention of Native Instruments. Happily, this resulted in NI asking Dr Sync if he’d like to work with them. So from June 2003, further Sync Modular development ceased, and existing users were offered the opportunity to crossgrade to Reaktor. And two years on, the technology that first appeared in Sync Modular has resurfaced, in a rather more sophisticated form, as the new Core technology in Reaktor 5. 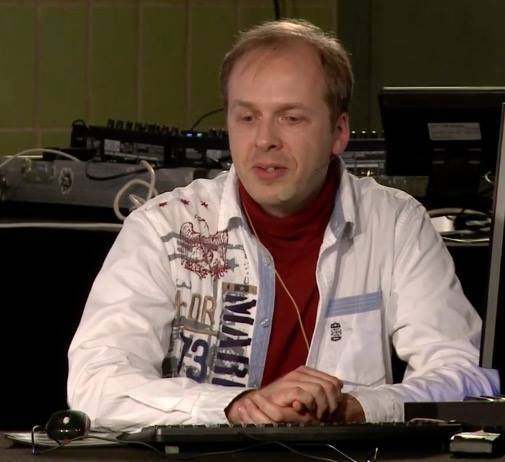 Vadim Zavalishin contributions, along with those of Reaktor Core developer Martijn Zwartjes, were released within Reaktor 5 in April 2005. Core Technology initially confused a lot of instrument designers because of its complexity, but is now steadily making its way into new instruments and ensembles. In 2010, Sync modular became a freeware. 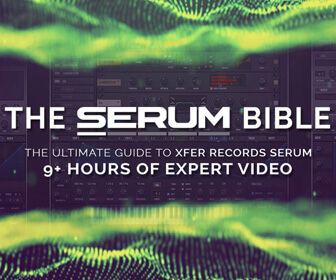 Since working for Native Instruments, Vadim Zavalishin has published a couple of PDF to explain theories and ideas. All of them concerning the “Core” level of Reaktor where, once passed the technical difficulties, lies all the greatness of this awesome piece of software. Searching for his name on Google would easily drives you towards some obscure programmers communities and forums where things discussed are definitely not material for the new comer. 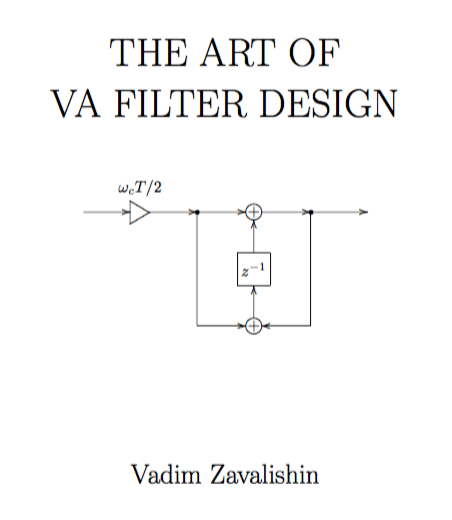 One of Vadim Zavalishin greatest and most discussed writings is without a doubt “The Art OF VA Filter Design” (V 1.1 / 22 July 2015). The book is about theoretical and practical aspects of the virtual analog filter design in the music DSP context. At this level of our special Vadim Zavalishin, we would like to advise you to have a look at the video recording of “Native Sessions Berlin – Play.Patch.Build” in which he’s explaining that the ZDF Toolkit aka Zero Delay Feedback is made to eventually emulate analog filters but also to create new digital filters (from 34.40 mins to 43.47 mins). We see that Vadim Zavalishin is an important element in developing what we have the pleasure to use today for our music production, Reaktor 6. We know about his past as “Dr Sync” developing his “Sync Modular” project and how this turned a few years after, the birth of “Reaktor Core” a low level digital signal processing programmation language. It was an evidence that all of this would wake up curiosity and interest from some users, a very few actually due to the level of complexity where things are right now. First of all, we have three tutorials for you to learn about Filters. These three tutorials are about “Comb Filters”, “Low Pass Filters” and “Filter Transfer Functions”. As soon as you fully understand these tutorials, you’ll be able to open yourself the door to the world of the now famous ZDF “Zero Delay Feedback” Filters. We hope you enjoyed diving into the dark side of Native Instruments Reaktor.